Volvo Penta parts are designed, manufactured and tested for optimum performance, reliability and long service life. Their precise fit ensures all components in your engine work seamlessly together maintaining optimum fuel efficiency whilst keeping costs and emissions down. CVS Pentapower provide genuine Volvo Penta parts and would recommend them to get the maximum productivity and long term value from your engine. The majority of routine Volvo Penta parts we hold in stock are available from our warehouse and distribution centres with 24 hour availability. Other non-standard parts are usually available within 48 hours of purchase. Alternatively if you need parts immediately, please visit our Northampton Service Desk where our experienced parts team are available with the latest design changes and information. Click here for address details. 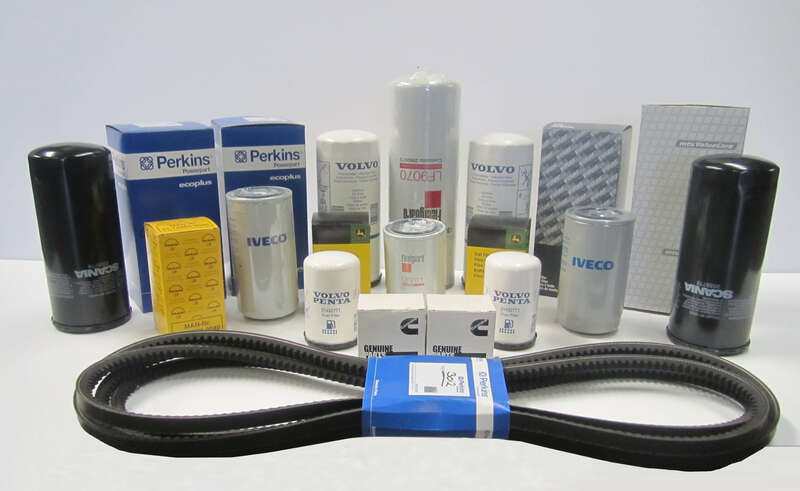 We also stock a variety of Volvo Penta engine consumables such as starting batteries, engine oil, coolants, filters, greases and other items. Not only can we supply you with genuine Volvo Penta parts that are tailor made for your engine — they are also backed with extensive warranty coverage for your complete peace of mind. All Genuine Volvo Penta Parts and Accessories (excluding wear parts) that are supplied come with a 12-month warranty as standard. CVS Pentapower can also supply a range of exchange parts offering a cost effective alternative to repair or overhaul. All components are restored to new condition to meet the same stringent quality and safety requirements as new parts. Exchange components are kept current with technical design changes and are offered with the same warranty as new genuine Volvo Penta parts. Volvo Penta repair and overhaul kits can be also be supplied at a more cost effective price than purchasing each part separately, all containing 100% genuine Volvo Penta parts. With extensive experience in the supply of spare parts for Volvo Penta engines and drive systems, we can confidentially offer the best parts supply package for all your genuine parts requirements to ensure customers continue to get the optimum performance & reliability from their equipment. CVS Pentapower offer a world wide distribution service. For pricing information or technical assistance on the supply of industrial and marine engine parts please contact us directly on 01604 590977, sales@cvspentapower.com or click here to complete our enquiry form. Please visit CVS Diesel for products from other manufacturers.